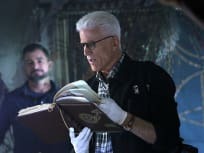 On CSI Season 15 Episode 10, the team investigates the strange happenstance of a man who died not once but twice. On CSI Season 15 Episode 9, when an inmate on the run finds a body at the Clark County jail, the CSI investigators are called in to the scene. On CSI Season 15 Episode 8, a woman is found dead in a swimming pool at a rehab facility with drugs and alcohol in her system. On CSI Season 15 Episode 7, an investigation delves into the world of "rubber dolls" after a victim is stabbed in an alley. On CSI Season 15 Episode 6, another victim turns up who may be linked to the Gig Harbor Killer. 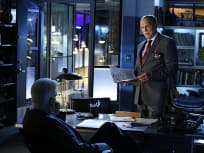 On CSI season 15 episode 5, a forensics conference attended by Finlay, Morgan, and Sara is disrupted by a mass shooting. On CSI, the team investigates when a science teacher's experiment takes a horrible turn. Greg and Sara are forced into quarantined when the respond to a crime scene that is contaminated by a deadly pathogen on CSI. The team investigates when there is a robbery and shooting at a marijuana shop on CSI. Russell gets a call from someone claiming to be the Gig Harbor Killer and Finlay finds a bomb in her car on the season 15 premiere of CSI.